Palm reading is an ancient art that was very precious to the Babylonians, and it took a history of piousness, wisdom, and study to be able to successfully achieve the level of wisdom required to be a palm reader. In this time and age although not as socially acceptable, it is still fascinating and amusing for most of us and thus only makes sense to read up on it and see how it works and what involves hand reading. 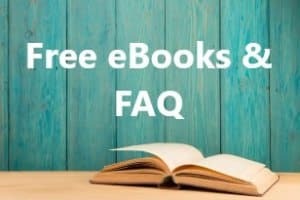 Continue reading to know amusing facts and read interesting paragraphs about freehand reading. In ancient times palm reading was a custom, it was mostly done when a person was in a hard place in life or even on a regular basis sometimes. Very often before making a decision the individual(s) would go to visit a palm reader. The idea was that gods and stars; heavenly bodies and sacred bodies, together determined a palm reading. Even today it is strongly believed that astrology has a major if not the only role to play in any palmistry reading. In ancient times all kinds of guidance were sought from the stars and planets. They showed direction, they taught history, and they told the future. In the present day, it is still taken seriously to a certain extent. However, due to advancement in science and technology, the fame and reputation have died down that it once had. This article is all about the basics of palm reading. Now whether you are or are not a believer, it cannot hurt to learn whether you do so with the intention of the ability of party trick or to be able to tell your own and your friend’s futures. The basics of palm reading comprise of certain very basic concepts such as the lines. There are many kinds of lines to consider when reading a palm. The main 4 lines are the Life Line, the Head Line, the Heart Line, and the Destiny or Fate Line. The art of palm reading itself must be understood well, and the basics need to be studied with concentration. As soon as you can be able to differentiate between the lines, you are good to go. 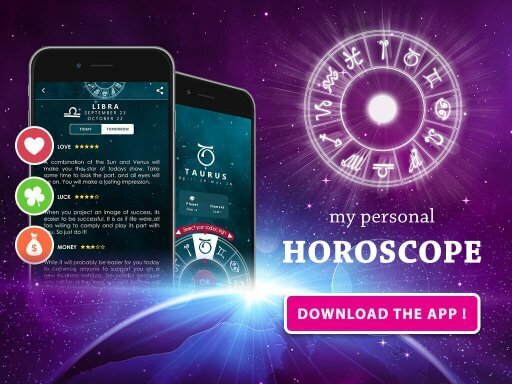 Further on in this section, we are going to investigate the details of hand palm reading and how hand reading astrology has a part to play in this. The Life-Line corresponds to an individual‘s physical health, mental vitality, and to the changes, he or she can expect to encounter in life. If the line is deep and long, the person has a lot of vitality. If it’s short and shallow, the person is very credulous. If the Life-Line has one or more breaks in it, the person will experience many changes in their life situation. If it forms a half-circle, the person has strong physical resistance and a hearty appetite for life. If it’s straight and close to the thumb, the person is very fragile. If a person has more than one Life-Line, they have exceptional vitality. 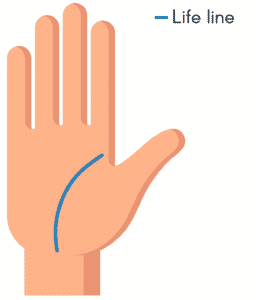 If the line is straight and close to the edge of the palm, the person should be careful in their relations with others. The Head-Line corresponds to intellectual faculties, creativity, logic, communication, and the acquisition of knowledge. When this line is wavy, it means the person has a weak intellect and has trouble concentrating for any length of time. When the line is straight, the person is realistic and logical and prefers action to reflection. When the line is curved, the person is creative and imaginative. They have original ideas but may be out of touch with reality. When a line forms a cross with the Head Line or circles around it, the person will experience emotional problems. If the Head-Line is long, the person has a clear vision of things and is very coherent in their decision-making. 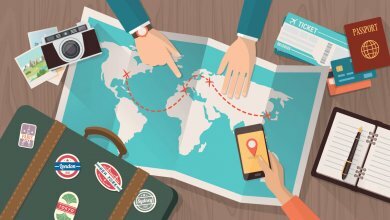 If the Head-Line does not touch the Life Line, the person enjoys travel and gets the most they can out of life. This line corresponds to a person’s love-life, emotions, cardiovascular health, mood swings, and state-of-mind. If it touches the Life-Line it means the person is usually unhappy in love. If the Heart-Line is broken or crisscrossed by many smaller lines, the person has known, or will experience, great disappointment in love, and will have a hard time getting over it. If the line begins under the index finger, the person should have a stable love-life. If it’s short and straight, the person doesn’t accord much importance to love. If it begins under the third finger, the person is easily infatuated. If it begins in the middle of the hand, the person is selfish in love and considers partners property rather than people. If it’s straight and runs parallel to the Head-Line, the person can control their emotions and are not easily influenced in this area. If it’s wavy, the person collects amorous conquests. This is also sometimes called the Luck Line, and indicates a person’s degree of autonomy, and how well they control their life. If the line has breaks inside or changes direction, the person is the victim of exterior circumstances and is not in control of their life. A deep Destiny-Line indicates a person who is a slave of their own Destiny. A Destiny-Line that starts near, or approaches the Life Line, indicates someone independent and self-taught. A Destiny-Line that begins under the thumb and crosses the Life Line means the person will receive help. If the Destiny Line joins the Life Line in the middle, the person should abandon their interests and become involved in working for the common good, with other individuals who want to evolve and experience happiness. 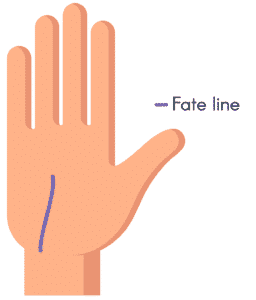 There are other types of lines in palmistry reading that are worth to mention. Read on below. This line is found and read in the palm reading for the left arm. The topmost line is read again. In this case, we look at the nature of the line and the details around it. There are many cases in this one. We look at whether the line has extensive, innumerable prominent veins leading out of it. This will be hard to see unless bright light or sunlight is available. In the case that many veins are visible, you are meant to have a rather successful marriage life. Now, this does not yet mean you will only meet one soul mate, you have many successful marriages that eventually end, and you move on to have another. The key indication is that irrespective of whether it is one or two marriages, it will be happy, and you will have a healthy life. The Palm reading for marriage line does not end here. For the marriage, we also consider the nature of the line beneath the lifeline. The above prediction is true is if the ends of the second and third line do not touch. Otherwise, it gets and you may have to find a palm reader who would invest the time and energy into determining exactly what it means accurately. On the other hand, if the first line does not have many veins that are prominent then that means that you will eventually marry, it will be a long marriage with many ups and downs, but it will most probably be only one marriage. You and your partner will stick to one another for your lives, and you know for a fact that that is the marriage you want. There may be times when you would want to break away but couldn’t make yourself do it. The love line is the hardest in palm prediction. It is complicated and requires time and study to be able to cut through the complications, however, one thing is for sure that some of the straightforward predictions can still be stated and taught to the layman. After all, palmistry is a skill to be valued and why not learn as much as you can. In this section of palm reading, we consider the third line. This line is complex and hard to follow through however its breadth and nature can be studied to a certain extent. The lines of the hands change over time. Reading and interpreting them can reveal things about a person’s past, and the lessons that should be learned, rather than to make predictions about the future. How soft a hand is can give you some idea of a person’s character. If the hand is stiff and hard, the person will not adapt easily to change. 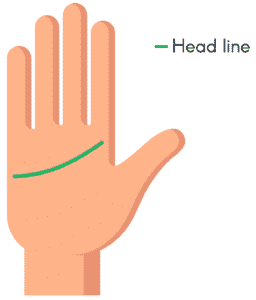 Moving on, the length of the line is important in palm reading. It is also the hardest to follow and read, so if you can observe the length closely and determine whether it reaches the forefinger, then that indicates a long life. If it stops towards the end of the middle finger that would mean you have an average life that ends when you’ve achieved what you and when you are ready. You may have read palm reading articles that explain in complicated ways how palm reading works and you may have heard the words earth hands or water hands or fire hands and so on. But what are these ‘types’ and what do they really mean. We explain these complications you may find in palm reading articles, in much simpler ways; eliminating the unnecessary details and making it a lot straighter forward. 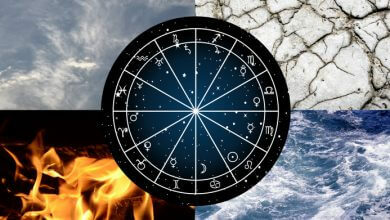 By earth hands, astrology basically intends to interconnect the nature of the individuals found with these kinds of hands to the innate nature of the mother earth. It is straightforward. Look at both palms, the left and right and place them right in the center of your lap. After that is done the real hand reading takes place. What we do know is that we look at the shape of the center palm to see if its square like and has a considerate amount of surface area. Then we analyze the finger; not particularly long, rather short and stubby or just normal. This means you have earth hands. People that have earth hands are the kind of people that are hard-working and practical. 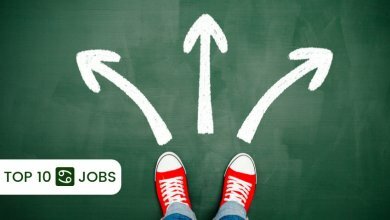 They have a realistic approach to life and very often may get impatient with people who try and go for impracticalities. A person with earth hands is directly affected by the movements of the Regales star. 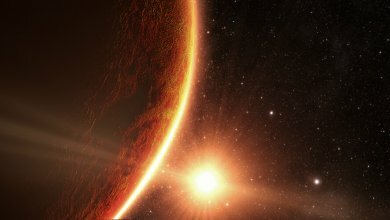 The orbits influence the future of a person, with earth hands, directly. These kinds of people although are impatient, they are never short-tempered in other cases though. Palm reading declares these people are smart and people who had a hands-on approach to life whether that means marriage, love, work or any other aspect possible in life. Hand reading declared these people to be very useful once befriended. These are the people that are different and truly stand out. 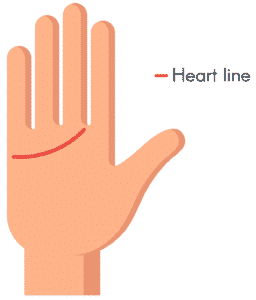 A person with air hands has a square palm, but the length of their fingers equates the length of their palm. These people are ones that are intellectual and like to think for themselves. They are curious individuals and very often, their palm reading shows that they always want to get to the depths of an issue to truly understand it. These kinds of people learn from their mistakes and are understanding human beings. Individuals that have air hands are usually very prominent, especially in educational institutes. They stand out academically. That can be odd because they tend not to be too social. However, their nature attracts friendships and even lovers. They tend to steer away from drama and very often just have peaceful and very low maintenance friendships that last for long. People with water hands have a very complicated life. Not because of their fate but because of themselves. What are the features of a water hand? A water hand is one that has an oval-shaped palm. The palm is an obvious oval shape and the shape of the fingers very often just doesn’t matter. These are people that make their own life very difficult for themselves. These people tend to get anxious quickly, and that hardest part is that they cannot deal with their anxieties very well. They are highly emotional people that you would very often find as part of one drama or another. They are almost the complete opposites of air hand individuals. A water hand is emotional and takes a lot of stress. They cannot deal with this stress, and the spiral continues. It gets very hard to step out of it or escape it. They can generally make their own lives very hard and uncomfortable. Most people avoid friends like these, however, water hands very often make friends with other water hands. Which is suitable because the funny fact about water hands individuals is that they can only get one another out of the spiral of depression. Everyone else cannot help them, and it gets very hard for other people to understand them properly. The last and most ferocious ones are the fire hands. They have normally shaped palms, but their fingers are shorter than the length of their palms. And so, they tend to be the kind of people that are just very fierce with whatever they do. Whether it is love or anger; everything is done with passion. They have a deep romantic inside of them and yet they also facilitate a passionate but dangerous lover. Their love can get violent. These are individuals that have very innocent hearts and never mean, but their passion might have other consequences for people. Fire hands are unpredictable and yet funny, loving and yet dangerous. Any article regarding palm reading would say almost the same. The one quality about them, however, is that they go out of their way for friends, and thus they make good friends. Their friendships may or may not last long but while they do they are happy and content. They are also social humans and now or later will find a good friend and a good lover. There may be many articles regarding palm reading, but in this one, we have tried to explain all basics related to palm reading. These are the basics you need to know to be able to impress a crush or amuse a friend or even to be able to help someone who is down. 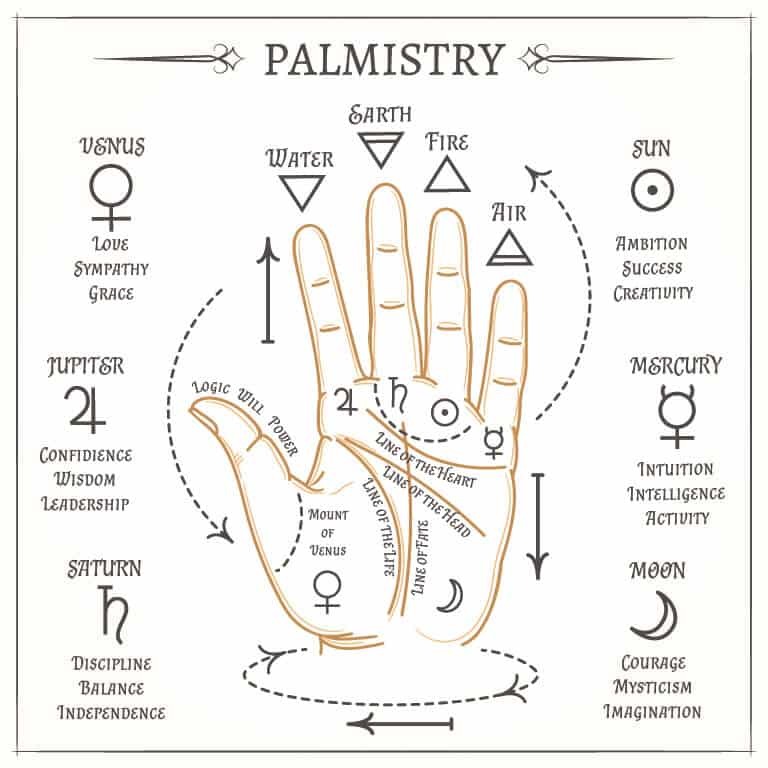 Palmistry is an art and art takes centuries to form, the fact that it has survived decades definitely means it has some sort of truth behind it. We hope you enjoyed the article and had information to learn.